At Photokina, MeiKe, Metz and Sigma have revealed several new basic speedlights. Yongnuo has officially announced its "revolutionary" 2.4GHz wireless TTL system, to be available in two months. This relatively unknown Chinese company mostly manufactures battery grips and rifle scopes, but recently ventured into the lighting market with its MK-RC7 budget flash triggers. Now it has taken another step with the FN-920 and FN-950 speedlights. Unfortunately, the only reference we have been able to find is from the helpful folk at de.rec.fotografie (in German). Essentially, the FN-920 is a manual speedlight with eight power levels (-2, -1.5, -1, -0.5, +0.5, +1, +1.5, +2), two optical slave modes, a sync port and an external battery pack input – rather like the Yongnuo YN-560. It isn’t clear whether the head can zoom, but there is a flip-down diffuser and a few unlabelled buttons. The FN-950 also has little written about it, but is largely similar in appearance. The FN-950 has an LCD screen (vs “idiot lights” on the 920) and reportedly features TTL for Canon and Nikon. If you find any more information on these flashes, their features, prices or availability, be sure to leave a comment below! German company Metz have announced the release of the Mecablitz 24 AF-1, 36 AF-5 and 44 AF-1. The 24 AF-1 is an entry-level flash with basic TTL functions for Canon/Nikon/Pentax/Four Thirds/Sony, using a clever tilting reflector found in some super-cheap Chinese flashes. Adding a manual zoom head (but no horizontal swivel) and a flip-down diffuser, the 36 AF-5 is a bit more powerful but remains a basic on-camera speedlight. Starting a new line of Mecablitz flashes, the 44 AF-1 has a unique control panel (right). An electronic zoom from 24-105mm, flip-down diffuser, bounce card, 90° tilt and 300° swivel allow much more versatility than the other two flashes. There are four manual power settings – 1/1, 1/2, 1/8 and 1/64, making the 44 a reasonable candidate for off-camera use. Specific pricing is to be announced. Of the three flashes, the Mecablitz 24 AF-1 will be the cheapest and the 44 AF-1 the dearest. The Sigma EF-610 DG ST has a guide number of 61, zoom from 24 to 105mm and other largely similar features to the Metz 44. There is a manual mode with 1/1 and 1/16 power settings. Price not yet known. Popular photographic accessory manufacturer Yongnuo have officially announced their 2.4GHz Wireless TTL Lighting System, a “revolution of off-camera lighting technology”. Comprising the YN460-TX commander and YN460-RX speedlight, the system has developed rapidly since the last time we saw it, with a working Canon setup on show at Photokina. Unlike the Phottix Helios, you don’t need to buy extra TTL speedlights to get the benefit of wireless flash control. The YN460-TX resembles the Nikon SU-800 from the front but has a completely new interface on the back (see below). 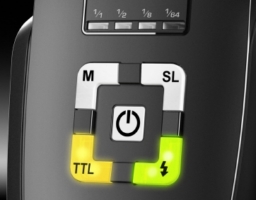 There are three groups – one automatic (TTL) and two manual (M1 and M2). The ubiquitous Yongnuo “idiot lights” display the TTL flash exposure compensation (+/- 3EV) or manual power setting (1/1 to 1/64) in each mode. They also double up as indicators for the seven different radio channels. Canon users will be especially pleased to see an autofocus assist lamp built into the YN460-TX, helping photographers lock on to their subject in low light. There is an output PC port for synchronisation with extra flashes or triggers. Based on the body of the classic YN-460 flash, the YN460-RX (picture) has a built-in 2.4GHz radio receiver that is designed to work 200m+ away from the Commander. Compare this with only 100m+ claimed for the RF-602 series. As well as 7 manual power settings, the Speedlight is compatible with TTL, rear curtain sync and flash exposure compensation. Sixteen YN460-RX speedlights may be used at once. The manufacturer does not specify whether the flash is capable of high speed sync. WX: in this mode, the receiver will automatically switch to the mode (TTL, M1, M2) currently selected on the YN460-TX. All these buttons and lights may seem a bit daunting, so Yongnuo have helpfully provided a set of demonstration videos. Apparently, in the wireless manual modes, no camera is necessary to adjust the power from the Commander. 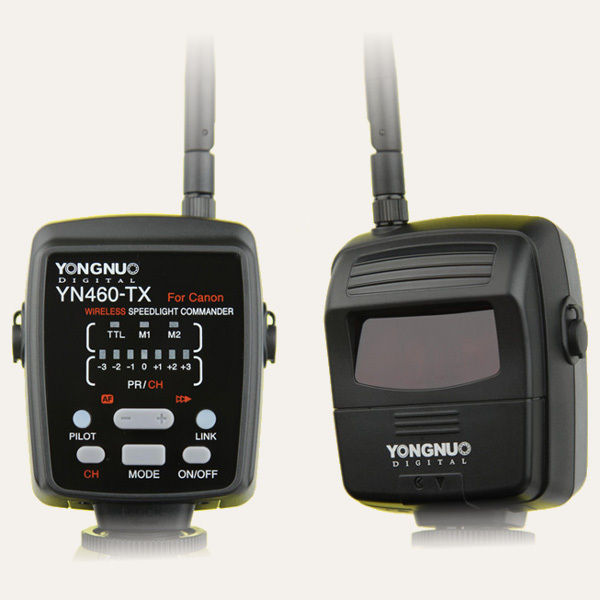 This means you could use another triggering system for your Yongnuo and non-Yongnuo flashes and have the YN460-TX as a handheld controller. 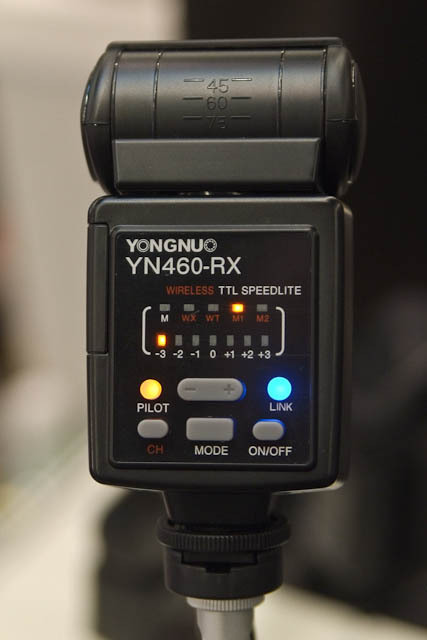 According to De.Rec.Fotografie, the Yongnuo 2.4G Wireless TTL System will be available “in the next 2 months” at a price of around €200 for a basic YN460-TX/YN460-RX kit. Both Canon and Nikon versions are in the works, but the Canon version is the one on show at Photokina. Please note that the Yongnuo 2.4G Wireless TTL System will not be compatible with the RF-602 2.4GHz Wireless Triggers. Upon release, the system will be available from Yongnuo’s official eBay store with a 12 month warranty.